An interesting development. Apologies if this has been posted elsewhere. Kevin Halligen has been found dead. Unfortunately, since I am a new member, I am unable to post a link to the story. It is currently the main headline on Mail Online. Thank you MedleyRoss and welcome to the forum. What a star you are MedleyRoss - you are most welcome on the forum. Time to give The Fund another airing? What better opportunity to draw attention to other areas of the Limited Company's fraudulant management - starting with the board of directors past and present. Lest they forget - the McCanns never attempted to recuperate the £300,000 !!! ETA: It will be very very interesting to see how this story further unfolds this weekend and next week . The blood-soaked body of a private detective who probed the disappearance of Maddie McCann has been found at his Surrey mansion. Mystery surrounds the death of Kevin Halligen, 56, who is said to have presented himself as a 'cloak-and-dagger, James Bond-style spy' - with police confirming to MailOnline today that a probe has been launched. Halligen took over the private investigation into the McCann case in May 2008 but was later accused of conning the family fund out of £300,000. It is believed he was found at the home of his long-term girlfriend. There is no suggestion that she was involved in his death. One former colleague told MailOnline: 'The house was covered in blood but apparently that was from Kevin falling down so much. A spokesman for Surrey Police said today: 'We were called to an address in Cobbett Hill Road, Normandy, Guildford, on Monday following a report of a man in his 50s having been taken unwell, who subsequently died. His fraud conviction carried a maximum of 20 years in prison, but under federal sentencing guidelines he would serve no more than 41 months. A source close to Kate and Gerry McCann said they had terminated their contract with Oakley international at the end of 2008 and had not had anything to do with Kevin Halligen since. 'Clearly this is now a matter for the police and the Coroner's office,' the insider said. To all members - and guests who can read this post. Please ignore anything said by Tim Craig-Harvey (above) on the subject of the now-dead Kevin Halligen, a death that appears to have been covered up for nearly a week. Also ignore most of what the mainstream press chooses to tell you about Halligen. Craig-Harvey was one of three people with very strong connections to the security services, MI5 and Special Branch who were employed by the McCanns and their wealthy backer, Cheshire businessman Brian Kennedy, during a period of about four months in 2008. The others were the now-dead Kevin Halligen and Henri Exton. Exton was formerly the Head of Covert Intelligence for MI5 until a theft of perfume from Manchester Airport blighted his career. The Daily Mail says that Halligen was paid £300,000 by the McCanns. No, the true figure was £583,000 - and that was for four months work during which he and his team achieved nothing. Exton was also responsible for the notorious fake 'e-fit' images of a man described as 'the man seen by an Irish family', otherwise known as Smithman. Unfortunately for the credibility of Exton - and of the BBC and the Metropolitan Police who first transmitted these images to the public on 14 October 2013 on Crimewatch - the images were of two very different-looking men. Moreover, the three members of the Smith family who were all supposed to have produced their two different Smithman-images only ever saw this man for two or three seconds in the dark, they were only asked to draw up these images a whole year after they claimed to have seen him, and all three of them told the police a year earlier (on 26 May 2007) that none of them would ever be able to identify him if they saw him again. Just saw this on the news. I'm speechless. Already it's being claimed that "lies and alcohol finally caught up with him". Not long planting thoughts in people's minds, are they. So, Mr Halligen has been living in a gated community in Gilford. Who would have thought? 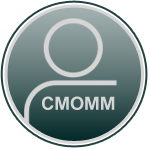 I would like to take this opportunity to wish all members and guests on the CMoMM Forum a belated Happy New Year. Apparently the house was covered in blood from him falling down so much ? What an odd thing to report so early in the investigation? It actually makes me feel ill reading this news report sallypelt. I can understand alcohol killing you...but lies? How does that work? And all that blood? Sounds like a bloodbath went on at his mansion. How many more suspicious deaths are there going to be in this case apart from Madeleine? Don't alcoholics have hemorrhages from the stomach / throat? It might explain blood being 'all over the place'. I imagine the official explanation will be along those lines. It is anyway, fishier than a haddocks underpants, many commenters on the article are in agreement. I wonder if he was planning to talk, or a book or something? 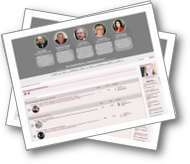 @Verdi wrote: Time to give The Fund another airing? Do you think that we will hear the truth about this or will it be hushed up just like Colin Sahlke and Brenda Leylands' mysterious death? @ChippyM wrote: Don't alcoholics have hemorrhages from the stomach / throat? It might explain blood being 'all over the place'. I imagine the official explanation will be along those lines. My cat had liver cancer and she haemorrhaged and became jaundiced just before I took her to the vet for the final time. But the blood came out in a fine spray mainly through her nose, she certainly wasn't covered in blood. Surely if Kevin had liver failure due to alcoholism he'd have been in hospital at that stage in his illness...? "A spokesman for Surrey Police said today: 'We were called to an address in Cobbett Hill Road, Normandy, Guildford, on Monday following a report of a man in his 50s having been taken unwell, who subsequently died." The second sentence implies he was alive when police were called and died subsequently. This is odd, why on earth would police be called because someone has been taken ill? Surely it is an ambulance that would be sent for in such a scenario! I have never heard of police being sent for due to the sudden onset of illness, even if it is life-threatening. If he died on Monday, in circumstances so concerning that police were sent for, why has it taken until now to launch an investigation. Did the post-mortem indicate the possibility of foul play?
" 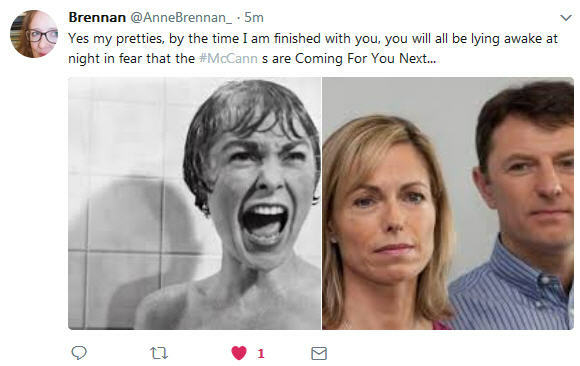 Poor , brave heartbroken McCanns " this time with " Conned " added to the list ? I bet the fingers are twitching over keyboards already ! Police are investigating the death of one of the first private detectives hired by the parents of missing Madeleine McCann. Kevin Halligen, 56, was found unwell at his girlfriend's Surrey home and later died. Police are treating his death as "unexplained" and are expected to pass a report to a coroner. Mr Halligen's company, Oakley International, was hired on a £500,000 contract by Kate and Gerry McCann and the administrators of the Find Madeleine Fund in 2008, a year after their daughter vanished in Portugal. The McCanns had become frustrated with the failure of the Portuguese police to find Madeleine or any clue to what happened to her. Anyone else been watching McMafia? No sharon, I don't believe the truth will ever be told. The thing that makes me suspicious above all else - why is exclusive news headline immediately connected to the McCanns. Halligan spent most part of his life dodgy dealing, there must be far greater, if I might say more significant, casualties of his dirty work to highlight than the McCanns. The quoted figure is pocket money to the likes of Halligan - hardly Bundesbank revisited. 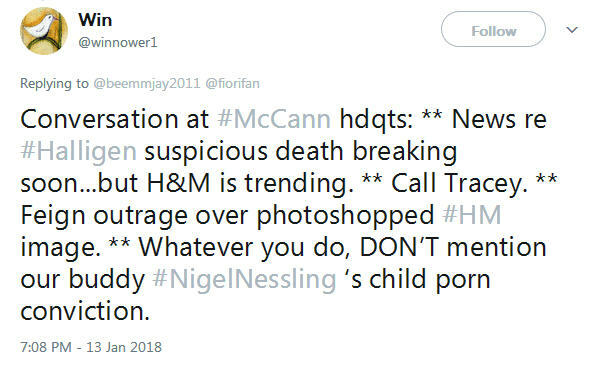 At present, the press report would appear to be in favour of the McCanns, portraying Halligan as a drunk and a fraud - well, we already know that but it's hardly a reason to die in a bloodbath, nor is it obviously associated with the McCanns personally What benefit is this nonsense to the McCanns, why are they the centre of this news? That's what I would like to know. Is it just scandalmongering, something our illustrious gutter press afre renowned for. That's why I'm looking forward to seeing how this story progresses in the next few days. Perhaps Tracey Kandohla might be able to fill in the details? 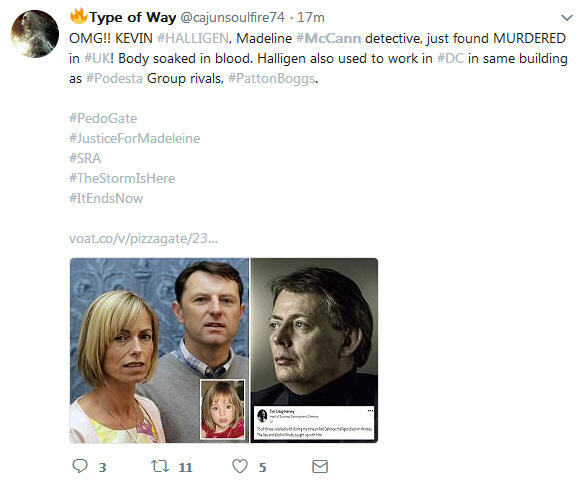 I don't believe for a moment the death of Halligan is in any way directly connected with the McCanns. A faction of the McCanns defence league recommended Halligan's dubious company to work as 'private investigators' for the McCanns. He received payment for services not rendered somewhere between £300,000 and £800,000 - depending which story you listen to. Whether this money truly came from the Madeleine Fund or elsewhere is a matter of conjecture. Whatever, the directors of the fund have never tried to reclaim the money, or part thereof which in my view speaks for itself. I doubt half a million would pay a weeks hotel tab for Halligan and his bits of stuff. Reportage at the moment sounds like 'oribble grizzly murder. If it is, I imagine Halligan had a closet full of enemies prepared for revenge. McCanns? Nah! I think this is another weekend flash in the pan to show the McCanns in a favourable light - the limelight! Still, it keeps the tongues wagging for a few more weeks - they must have sensed the slump. Nothing team McCann like better than attracting attention, even after all these years. They need to keep the trolls well fed to further their cause. Kevin Halligen "BRUTALLY MURDERED" - shouts the Daily Star headline - plus dozens of other stories from around the world. 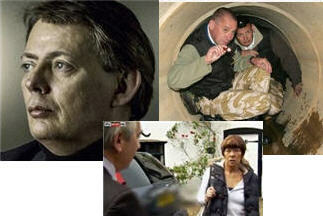 Already there are dozens of stories about what the media generally agree is the 'mysterious' death of Kevin Halligen. Admittedly it is the Daily Star which is running the 'brutally murdered' headline. Below are the first 10 headlines I picked up from a Google search a few minutes ago. @Phoebe made a very good point upthread, pointing out at least three inconsistencies about this story in just one news report (Mail on Sunday). 'found and helped by police as he was very ill' - Daily Mail. Incidentally I suspect if he really did die on Monday that this will have been reported straightaway to the Coroner who again, I suggest, may have already formally opened an inquest - behind closed doors, as it were. Any full inquest cannot realistically take place until the police have completed their enquiries...which I guess could take a long time, what with it being Kevin Halligen and his extensive secret service and Ministry of Defence contacts (see my biography of Halligen, on the forum). 6 hours ago - Blood-soaked body of 'James Bond-style' private eye who conned the fund to find Maddie McCann out of £300,000 is found at his Surrey mansion. ... The blood-soaked body of a private detective who probed the disappearance of Maddie McCann has been found at his Surrey mansion. 4 hours ago - A conman accused of duping the family of Maddie McCann out of £300,000 has been found dead in a secluded mansion. Kevin Halligen - who posed as a “James Bond-style” private detective to probe the youngster's disappearance - was discovered covered in blood at his long term partner's home. 2 hours ago - Police are investigating the death of one of the first private detectives hired by the parents of missing Madeleine McCann. Kevin Halligen, 56, was found unwell at his girlfriend's Surrey home and later died. Police are treating his death as "unexplained" and are expected to pass a report to a coroner.